In partnership with Center Stage at the Jewish Community Center, Ann DeEvelyn Clothing Co. presents “Revelations: A Fall Fashion Experience” on October 15, 2016. Hosted by Angie Fenton of Great Day Live and Extol Magazine. Expect a night of luxury, fun, and fashion as we celebrate the Louisville arts community. This year’s runway show will feature original pieces from Louisville designers as well as graduates of the Ann DeEvelyn Clothing Co. summer internship program. Louisville is filled with amazing artists and this year the fashion will be sharing the runway with original works of poetry, film, music, and live musicians. The arts community is a valuable force in Louisville, and we are doing our part to keep the community growing by donating part of the proceeds to Center Stage’s Acting Out, a program that brings live theater to schools and community centers for kids that may not have the opportunity otherwise. By attending this event, not only are you supporting professional local artists, but local artists in the making. 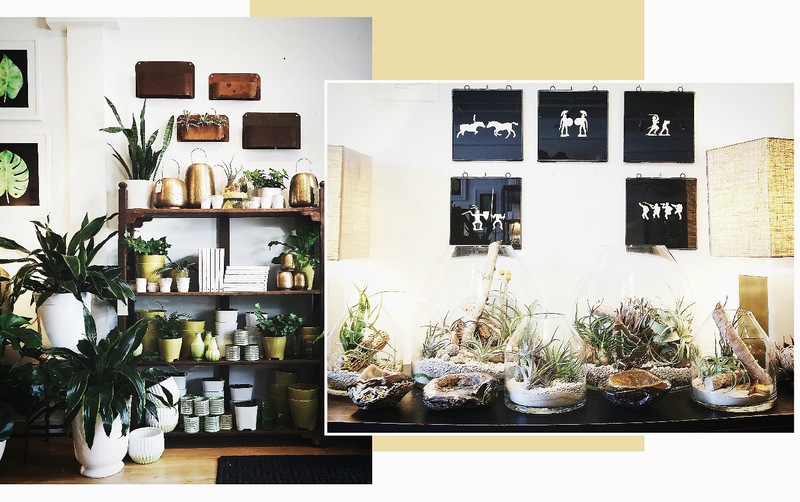 With its modern, yet simple approach to home decor, plants and floral arrangements, Mahonia is a store that inspires its patrons from the moment they walk through the door. Mahogany-stained bookshelves double as plant, pot and vase holders, and living plants hang on almost every white wall in the space, instead of wallpaper. The store’s owner and creative director, Bridget Davis, spent most of her life working with plants as a floral designer and merchandiser, and this is represented well by Mahonia’s subtle, yet impactful presentation of home and floral goods. It’s Davis’ desire to bring joy to others by creating beautiful spaces that makes Mahonia’s studio off Market Street in Louisville so welcoming. Named after a yellow flowering shrub native to western, North America, Mahonia has found its niche locally by offering a truly unique mix of plants and flowers, and a vast selection of carefully-curated pots, containers and vases for you to place them in. However, the assortment of Tillandsia – also known as air plants- and the custom terrariums that hang throughout the store (my favorite designs are are being held in the air by gold chains) are what truly sets Mahonia apart from other shops in the area. The store also offers custom, floral designs for any occasion, and workshops on how to create your own floral arrangements, wreaths and terrariums. To find out more about this local gem, click here. If you live in Louisville, or have perused any food-related magazines lately, you probably know that the local culinary scene has become a true tour de force. Every week, a new restaurant opens up, and food bloggers are often liken to local celebrities because of all the mouth-watering chatter that circulates over the next big thing to come out of the city’s restaurant scene. Besides the fact I am a self-proclaimed “foodie” (whatever that really means), this extreme local emphasis on food is why I started this Friday addition to The Chic Street. However, instead of only writing about a restaurant as a whole, I have decided to up the ante, get more specific and start a discussion on some of my favorite local dishes as well. This edition of Foodie Friday is focused on a classic that I indulge in almost weekly when patronizing Please and Thank You: a local coffee joint that is an absolute favorite of mine. Though minimal in its ingredients, the Granola Parfait is a constant companion to the frequent coffee and work days that are spent at this Louisville establishment. The granola is made in-house, and baked with cinnamon for a nice, crispy texture that pairs perfectly with the vanilla yogurt and layers of fresh fruit that consist of strawberries and blueberries. Fresh mint then tops off this dish, which is truly as simple as it is truly delightful. If you read this post on Anchal Project, you are well-acquainted with how the company is bringing about social and economical change with repurposed, cotton saris. This week, The Chic Street is teaming up with Anchal, and Revelry Boutique Gallery for the event, Festival Fashion for Good. 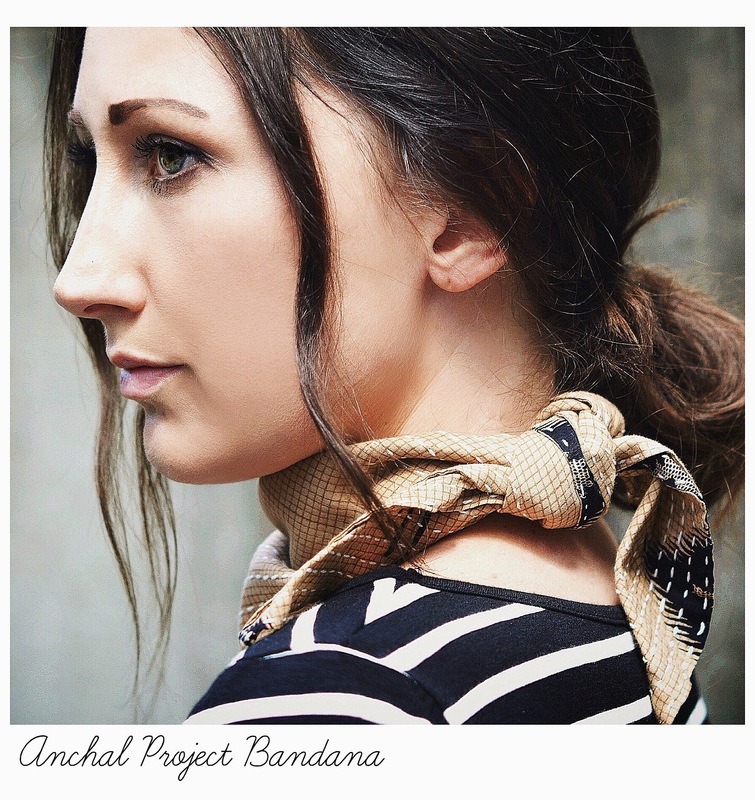 With InStyle Magazine recently naming the bandana as this year’s hottest festival fashion trend, me and Josh Johnson of The Kentucky Gent will be giving tips and tricks on how to style Anchal Project bandanas at the event on Wednesday, July 13. The event will raise awareness for sustainable fashion, while also allowing the local community and festival-goers to support Louisville’s own Anchal Project. Representation from The Forecastle Foundation will be in attendance as well as a professional henna tattoo artist to complete the whole festival look. For more details, or to RSVP to the event, click here! Harvest, a restaurant of many firsts, had me at one simple, yet genius idea: bourbon and coffee. (Ok, the official name of this lively concoction is actually the Kentucky Wake-Me-Up, but the premise is pretty straightforward.) No, the restaurant is not the first to mix alcohol with caffeine, and they surely will not be the last, but they were one of the firsts to truly champion the farm-to-table movement here in Louisville. They were also one of the first businesses to bring locals flocking to what was once a relatively unknown part of the city when they opened their doors in 2010 on East Market Street. However, even with all their firsts, it is Harvest’s understated dishes and a menu that pays homage to the restaurant’s Southern roots that keep all of us coming back for more. 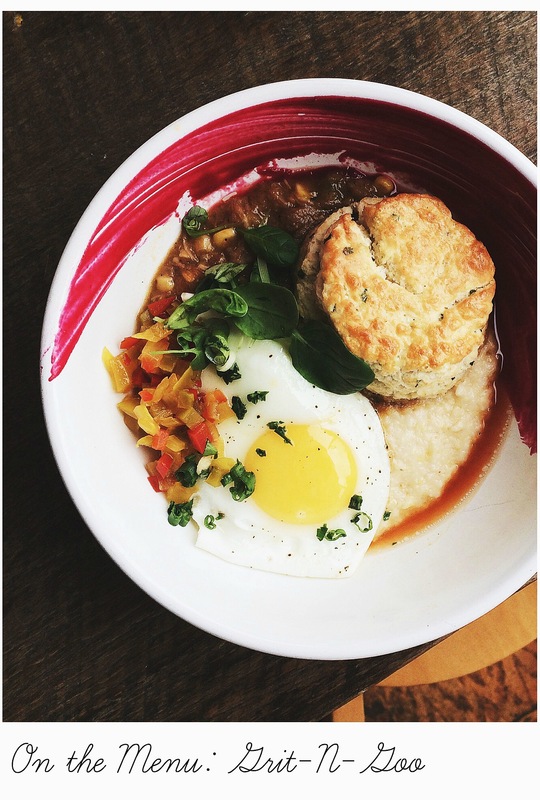 Brunch– The Grit-N-Goo (pictured above) combines a helping of three cheese grits with burgoo, chive biscuits and a sunny side egg, and tops it all off with hot sauce. 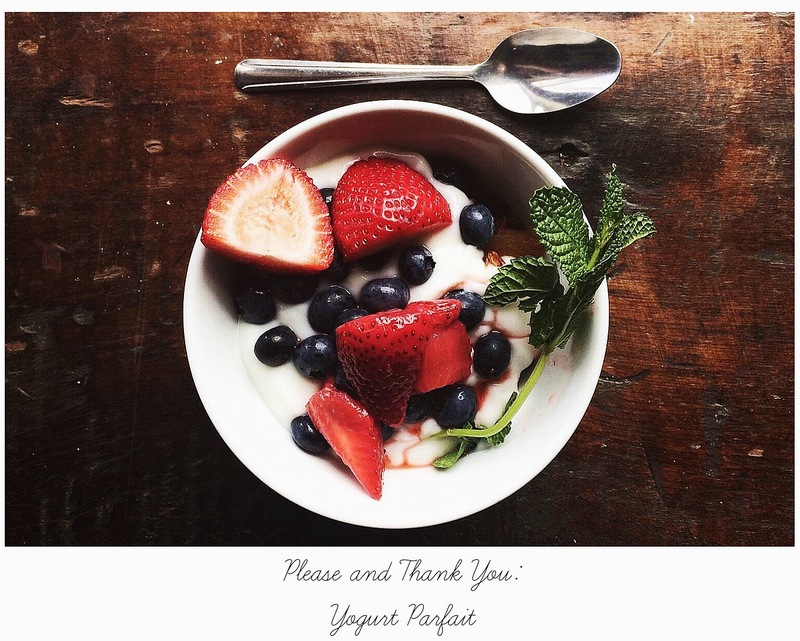 Who doesn’t like all their favorite breakfast items in one bowl? Lunch– If you want a light lunch, go for the cheese board. It boasts an impressive combination of Wabash cannonball & fuji apple mostarda, Pharoah’s reserve cheddar and country ham jam, and a serving of Tulip Tree trillium and apple butter. However, if you prefer a larger dish, try the Louismill cornmeal crusted catfish. The combination of breading and catfish leaves you feeling full, but in the best way possible. Dinner– If you are a cheese aficionado, the spinach ricotta tortellini with garlic chèvre soubise will be the most delectable dish you have ever devoured. Instead of overpowering its ingredients, the tortellini serves as a mere casing for the ricotta and garlic sauce, so you get a true burst of flavor with single every bite. Now, get out there and enjoy one of Louisville’s culinary treasures, and say hello to the restaurant’s new leader, chef Patrick Roney, while you are at it.